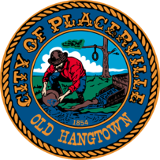 The City Manager is appointed by and serves at the pleasure of the City Council. The current City Manager, M. Cleve Morris, was appointed in January 2011. The City Manager acts as the administrative head of City government and is responsible for ensuring that the policy directions and priorities set forth by the City Council are carried out. The City Manager appoints the City's department heads and directs the activities of the various City departments. The City Manager's office oversees the human resources functions of the City, prepares administrative policies that all departments follow, coordinates and monitors the City budget, directs community and economic development activities and oversees the City's risk management program. The office is comprised of Manager, Administration, City Clerk, Human Resources, and Information Technology.